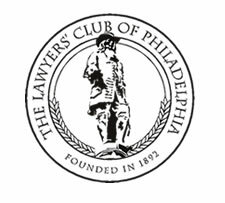 The Lawyers’ Club of Philadelphia’ Spring Reception will be Wednesday, May 7th, At The Four Seasons Hotel, One Logan Square, 130 N. 18th Street, Philadelphia, PA 19134 ~ Details to follow. Invitations will go out next week to all paid members. Please call Judy Camiel if you have any questions about your membership. 610-668-1730.